A team of researchers from Massachusetts General Hospital, Harvard Medical School and MIT has engineered Cas12a variants that are able to target a wider range of protospacer adjacent motifs (PAMs). In their paper published in the journal Nature Biotechnology, the group describes the variants they engineered and how they fared when compared against more traditional Cas12a nucleases (enzymes that are used to cut the chains of nucleotides in nucleic acids). 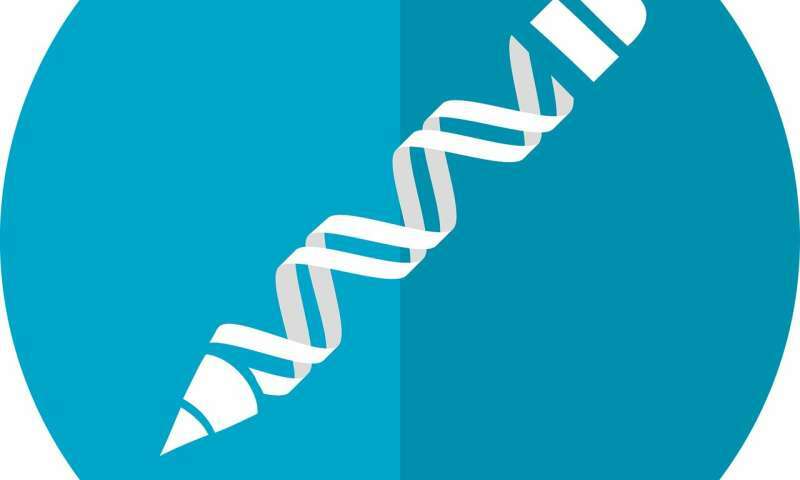 Scientists conducting experiments with gene-splicing tools such as Cas12a want to know if such tools could one day be used to edit the human genome to improve health and well-being—removing genes that cause heredity diseases, for example. While such research holds great promise, existing gene-splicing tools are currently considered too unreliable for use in humans. They sometimes cut the wrong segment, for example, or have problems correctly inserting the right segments. There is also concern about damage to the parts of a DNA strand adjacent to the target of cutting—the PAM. In this new effort, the researchers have engineered variants of the Cas12a nucleases that they claim offer an expanded targeting range that includes some previously inaccessible PAMs. The team reports that one variant in particular, enAsCas12a, did not require an extended transfusion-transmissible (TTTV) virus PAM—which is, of course, needed for AsCas12a. It also had on average two-fold higher genome editing activity with canonical TTTV PAMs as compared to AsCas12a wild types. And the expanded targeting range was increased seven-fold. They report further that they successfully grafted a part of a mutated segment from enAsCas12a onto AsCas12a to improve its activities. The researchers claim that the development of enAsCas12a allows for more efficient multiplex gene editing and offers endogenous gene activation and C-to-T base editing. They also engineered another variant called enAsCas12a-HF1 with the goal of reducing higher than normal off-target effects seen with enAsCas12a. The group concludes their report by claiming that the AsCas12a variants they engineered offer other researchers greatly improved targeting ranges, on-target activities and a higher degree of exactness in gene splicing using Cas12a nucleases.